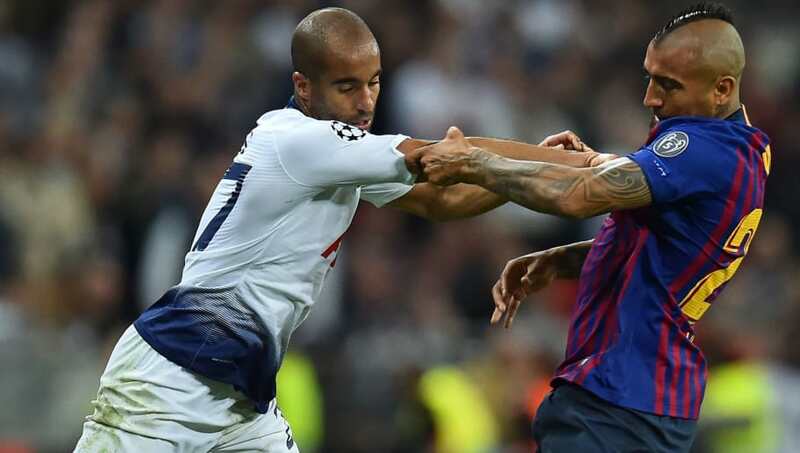 Tottenham winger Lucas Moura has opened up about how football helped him to avoid a criminal lifestyle, unlike his some of his friends in his home city of Sao Paulo. The Brazilian endured a difficult upbringing in a deprived community of Brazil's most populous city, but said putting his focus into football rather than crime in his younger years has now paid dividends. "It was very difficult when I was young because there are problems with violence, gangs, guns, drugs - a criminal life," he told the ​Evening Standard. "I had friends that choose a criminal life. Some of them are in prison and some of them are dead. They chose the bad way." The 26-year-old claimed he always believed that football could save his family from the life that they had in Brazil and played wherever he could to improve his game. "I played a lot of football in the street, my dream was to become a footballer - that's why I didn't go to the bad way. I always believed I could realise my dream and give another life to my family." Moura's switch to London from Paris was not an immediately successful one. Mauricio Pochettino had an abundance of attacking options with the likes of Heung-min Son, Dele Alli and Christian Eriksen, leaving Moura facing an uphill battle to get into the team. However, the £24.5m signing is finally proving his worth after breaking into the side this season and has been one of Spurs' most consistent performer with three goals to boot. "The first five months was to adapt to the new life, the new championship, the new coach, a new country, a new club. Here the game is so dynamic, the intensity is so high. I hope I'm a little far from my best. I'm playing well but can do better," added the Brazilian. His fine form for Spurs has also led to a recall to the international set-up having last played for Brazil in 2013 - coming off the bench in a 2-2 draw with England. Moura must now continue his excellent start for Tottenham, continuing to get amongst the goals and to provide the ammunition for striker ​Harry Kane - having failed to provide any assists so far this term. Pochettino's side return to league action after the international break against fellow Londoners ​West Ham following a disappointing performance in the 1-0 win at home to struggling ​Cardiff City last time out.